The Palm Beach Cardinals of the Class A-Advanced Florida State League had a solid 2017 season that culminated in a co-league title. It was an impressive turnaround from a 2016 in which the Palm Beach club had the poorest showing in terms of winning percentage of any of the St. Louis Cardinals’ eight minor league affiliates. In fact, it had been the worst record posted by any Cards’ full-season club in over a decade. The 2017 edition of the Cardinals, managed by Dann Bilardello, got out of the gates quickly and finished the first half of the season 13 games over .500. That 40-27 record gave them first place by three games and punched their post-season ticket. In the second half, Palm Beach was basically a .500 club, with a 34-33 mark that left them tied for fourth-place, eight games back in the six-team South Division. In the hurricane-shortened division finals, the Beach Birds took the first two of three scheduled against second-half winner Fort Myers (MIN), including the crucial opener on the road. With the league finals canceled, Palm Beach was declared co-Florida State League Champion with the North’s Dunedin Blue Jays. The FSL is a full-season league. The 140-game regular-season schedule began on April 6 and concluded on September 3. The 12-team league is made up of two six-team divisions with the Cardinals placed in the South. However, because of the frequent rain in Florida, no FSL team got in a full slate of 140 games. The league ranged from a low of 129 to a high of 138. Palm Beach was in the middle at 134 contests played. For at least the second straight year, the Cardinals struggled to win at home, experiencing their greatest success on the road, where they were 14 games over .500. Not counting their showing as the visiting team at Roger Dean Stadium against Jupiter, Palm Beach had a 33-33 home record, after barely winning a third of their home contests in 2016. The Cardinals began with a home-and-home four game split against the Mets, the team they would also finish the season against. Palm Beach closed April with three series wins in their last four, for an overall record of 13-10. The offense had trouble scoring during a rough first half of May, as the Beach Birds opened 4-9. Not surprisingly, they won four of the five games in which they were able to score at least four runs. However, in the second half, the hitting erupted and the team reeled off five- and six-game winning streaks to finish May with an 18-11 mark. The Cards extended their three-game win streak ending May to eight games during a 13-day stretch in which four contests were canceled due to rain. As June 21 arrived, the end of the first half, the Beach Birds were 9-6 that month for a 40-27 overall record and a three-game edge over Bradenton. With a playoff berth in hand, Palm Beach opened the second half 5-2, to finish their best month, June, with a 14-8 mark. On July 7, the Cards were looking like potential back-to-back winners, having compiled a 10-4 start to the second half. However, the offense again disappeared, as Palm Beach scored a total of eight runs over seven consecutive losses. After suffering a four-game sweep at Tampa, the club finished July a disappointing 13-17. In August, the team could never get much going, generally alternating wins and losses other than a five-game winning streak from the 18th though the 23rd. Through August and the final three regular season contests in September, the Beach Birds finished 16-14 and 34-33 for the second half. That put them eight games back, tied for fourth place. The last two games mattered most, however, as Palm Beach took both division final contests by 3-2 scores. The first was at Fort Myers, but on September 6, the Cards were able to celebrate at home their first title since 2005. With the notable exception of 2016’s struggles, Palm Beach has logged winning seasons in three of the last four years, including an earlier playoff appearance in 2015. In their 15 years at RDS, the Cardinals have posted eight winning seasons and two titles from five playoff berths. Following are the Palm Beach Cardinals’ records by year. Playing in a pitchers’ park, the Cardinals finished fifth of 12 league teams in ERA for the second straight year, with the mark dropping from 3.44 in 2016 to 3.32 in 2017. The Cards were better than the league-average ERA this season of 3.51. Despite a number of prospects in the rotation, the pitching staff did not collect a lot of strikeouts and were slightly worse than average in issuing walks. 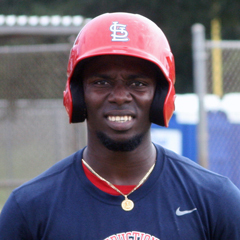 The Cards’ strikeout rate of 7.5 per nine innings was just one place above the FSL cellar. The staff issued the seventh-fewest walks at 3.1 per nine, roughly in the middle of the pack. Their strikeout to walk ratio was third from the lowest at 2.39. The Cardinals’ WHIP (walks and hits per inning pitched) of 1.326 placed them seventh in the league. They were worse than the FSL average of 1.288. The news is good in terms of age. The Cardinals’ opening staff was the youngest in the league, averaging 22.2 years old, almost a full year younger than the FSL average of 23.1 years. The offense has an odd profile, neither favoring power nor speed. The Cardinals placed both last in the league in steals and home runs (tied) – plus were fourth to worst in drawing walks. Yet, they struck out the least and ultimately landed in the middle of the FSL pack in runs scored. Their 3.9 runs per game fell just under the league average of 4.0. In the slash stats, the Cardinals were consistently in the bottom half of the league, specifically, batting average (2.51 – fifth from worst), on-base (.314 – fifth from worst), slugging (.345 – third from worst) and OPS (.658 – also third from worst, or 10th of 12). In hitters’ age, the Cardinals average of 22.8 years was almost right on the FSL average of 22.7. The Beach Birds were not an elite fielding club, coming in just a tick above the league average in fielding percent, .977 to .976, and placing them fifth overall. Palm Beach’s ability to control the running game continues to be respected. The league attempted the fewest steals against the Cards, a year after they were second lowest in attempts against. When the opponents tried, the Cardinals’ results were quite good. The Palm Beach catchers’ success rate at throwing runners out of 41.6 percent was fifth-best, seven percent above the FSL average. The Cardinals opened with six starters, of whom four remained at season’s end, but only three were active – Connor Jones, Jake Woodford, Derian Gonzalez and Junior Fernandez (on the disabled list since July 28). Jones also had a brief Springfield trial. 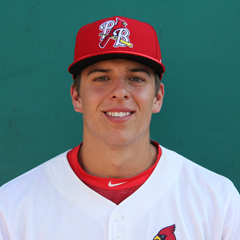 Among those promoted upward were Zac Gallen (June 3) and Ryan Helsley (July 31), both of whom have since progressed all the way to the Memphis playoff rotation. In-season additions to the Beach Birds starting corps were prospect Jordan Hicks (July 12), Mike O’Reilly (July 19) and Sam Tewes (August 4). 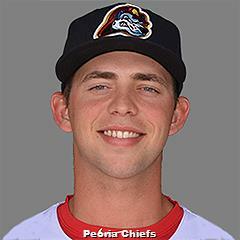 Both Hicks (after being promoted again to Springfield in a relief role ala Dakota Hudson in 2016) and Tewes, ended 2017 on the DL. Ramon Santos moved to starting and made six very good starts to close the year. There was surprising stability among Palm Beach’s offense in 2017. Among those with the club essentially all year included catchers Jeremy Martinez and Jose Godoy, first baseman Chris Chinea, second baseman Luke Dykstra, shortstop Edmundo Sosa (though he missed considerable time due to injury), third baseman Leobaldo Pina and outfielder Thomas Spitz. 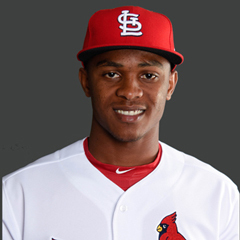 Key in-season position player promotions to Springfield included outfielders Magneuris Sierra (who was promoted directly to St. Louis on May 7) and Randy Arozarena (June 30) plus second baseman Darren Seferina (July 6). Contributors down from Springfield included first baseman Casey Grayson and outfielder Blake Drake. 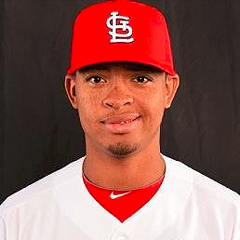 Up from Peoria were shortstop Jose Martinez, outfielders Shane Billings and Vince Jackson, and infielder Andy Young, the latter who finished with Springfield. Beach Birds who were released include Josh Wirsu, Andrew Brodbeck, Danny Diekroeger and Austin Wilson. Hopping over Palm Beach was catching prospect Andrew Knizner, who was able to make the jump and excel at Double-A. At 3.10, Woodford captured the FSL ERA title. However, the bar is set very high, at 0.8 innings per team game, meaning there were only 13 qualifiers. Nine of the 13 had season ERAs higher than the league average of 3.51 and over half did not even post a winning record. With eight wins each, Helsley and Jones were ranked in a tie with four others for sixth in the FSL. No Cardinals placed among the top 20 in the league in strikeouts. In a bit of a dubious honor, Jones was fifth in walks issued with 49. His rate per nine innings was 3.9. On offense, it was hard to find a Cardinal among the league leaders. Spitz was 14th in walks with 46 and 16th in OBP at .340. Chinea was tied for ninth with 24 doubles and Arozarena was 11th with 22. Gallen (1.62 ERA in nine starts) and Helsley (2.69 in 16) paced the rotation. The latter’s 91 strikeouts (in 93 2/3 innings) were the most on the staff. In middle relief, Ian McKinney (2.02) and Estarlin Arias (2.48) shined. They also combined for four wins and 10 saves. Speaking of saves… In the true definition of bullpen by committee, 16 different pitchers earned saves, up from eight the year before. Landon Beck led the way with seven, all in the first six weeks, before moving up to Springfield. Arias, who finished the year on the shelf, converted six. Eric Carter, up from Peoria, logged four over the final month. He was also promoted to Double-A, but returned to Palm Beach for the playoffs. The offense had just four hitters batting at least .275, with Sosa on top at .285. Following were Billings (.281), Seferina (.278) and Arozarena (.275). Grayson’s .367 OBP led Seferina, next at .356. Before his promotion, Arozarena slugged a lusty .472, with Seferina and Sierra far behind at .407. At .805, Arozarena was the only hitter with an OPS over .800. Despite playing in just 70 and 82 games, respectively, Arozarena and Drake topped the Beach Birds in home runs with eight and seven, respectively. 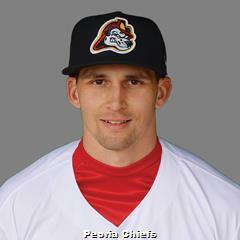 Chinea drove in 48 (in 123 games). Spitz led the way with 11 steals with Arozarena right behind at 10. Both were caught four times. 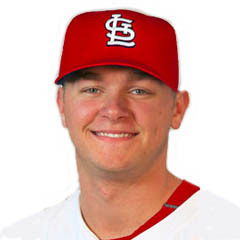 Among the end-of-season Beach Birds ranked in the most recent monthly top 50 prospect list compiled by The Cardinal Nation are five pitchers and one position player. They include Fernandez (#11), Woodford (#16), Sosa (#22), O’Reilly (#32), Jones (#33) and Gonzalez (#44). Three Cardinals were named to the Florida State League All-Star Game for the East Division, but Gallen and Beck had already been promoted. They were replaced by Fernandez and Arozarena. The latter won the Home Run Derby and started the game. The other selection was Seferina. 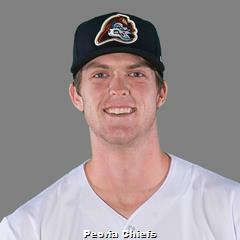 Only one Beach Bird was named to the league’s post-season All-Star Team, Helsley, but it was a major honor, as FSL Pitcher of the Year. Manager Bilardello was named a coach on the honorary team. With its proximity to the Cardinals rehab facility in Jupiter, a number of major leaguers appeared in Beach Birds games this season. They include Jose Martinez, Randal Grichuk, Jhonny Peralta, Kevin Siegrist and Zach Duke. Triple-A rehabbers included Marco Gonzales, Arturo Reyes and Andrew Morales. The 2017 Palm Beach Cardinals were above average in pitching, and had enough offense to take the first-half division crown. After a .500 second-half, the Cardinals won their two playoff contests and were crowned co-League Champion. Link to master article with all 2017 award winners, team recaps and article schedules for the remainder of this series. Of course, that will include our selections as the Palm Beach Cardinals Reliever, Starting Pitcher and Player of the Year.